There are two reasons why I love Small Bites giveaways. First, I take great pleasure in the enjoyment of food — good food — and like to share my favorite finds with others (whether they have similar preferences or end up trying a new item based on a suggestion of mine). I’m even happier to showcase small, independent companies that make delicious food that is also healthful and respectful of the environment. And so we come to the newest Small Bites giveaway: Kookie Karma. Time for another giveaway. This time around, you have a say in the final product, since the prize is your very own case of You Bars (a company I blogged about three years ago, and am happy to see do very well). The You Bar customizations and options are fantastic. 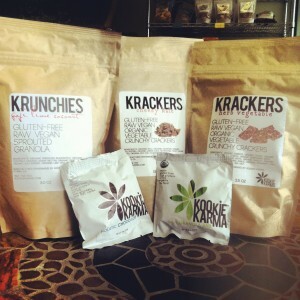 Not only are the vast majority of ingredients organic, they are also commonly not found in commercial whole food bars. Want some maca powder in your bar? You got it. How about a sunflower seed butter base? Cacao nibs? Hemp seeds? Apricots? Perhaps some organic rice protein? No matter what your dietary needs or preferences, you will be able to create something. A few months ago, Mary Waldner — creator of the Mary’s Gone Crackers snack line — spoke with me about what inspired her to create her popular line of organic, vegan, non-GMO, and gluten-free snacks, and why avoiding genetically modified ingredients is so important for her as a manufacturer. 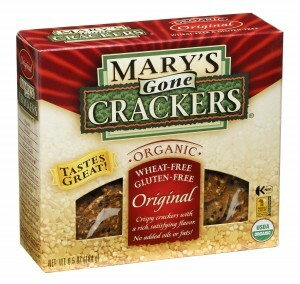 In case you’re not familiar with Mary’s Gone Crackers, they provide a unique spin on common snacks. Their crackers are made from a combination of brown rice, quinoa, sesame seeds, and flax, and are great for snacking and dipping. Their cookies are not cloyingly sweet, contain spices instead of flavorings (their ginger cookies, for example, list ‘ginger root’ as an ingredient), and are made with chia seeds, coconut oil (instead of the commonly-used corn or soybean), and several gluten-free flours. This month, two lucky Small Bites readers will score some Mary’s Gone Crackers loot. 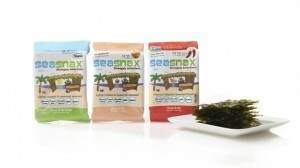 It has been quite a while since I offered a giveaway on Small Bites, but a new line of products I recently discovered made me think, “I’ve got to share this with everyone!”. I am referring to Hail Merry’s delicious raw, vegan, and gluten-free offerings. 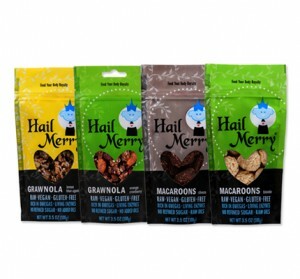 I first discovered Hail Merry earlier this year when visiting Texas, the company’s home state. In a rather serendipitous turn of events, two days after returning from that trip, I noticed that my usual shopping destinations here in Seattle had started carrying their products that same week. This year brought about an array of changes, shifts, and transitions for me, and through it all I always had the support, encouragement, and an endless supply of good vibes from readers and followers of Small Bites. 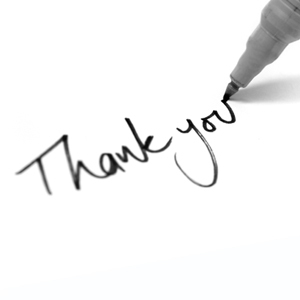 As I pondered possibilities for the next giveaway, I thought a personal token of appreciation from me was most fitting, particularly as we approach Thanksgiving and the holiday season. New York City’s Pure Food and Wine is the Lamborghini of raw vegan restaurants. Elegant, one-of-a-kind, and consistently delivering unrivaled quality. The driver behind the wheel is Sarma Melngailis, CEO, co-founder, and general “rawckstar”. Her quirky and laid-back coolness mixed with a keen business sense (she’s a Wharton graduate, folks) is very “Martha Stewart meets Gwen Stefani”. 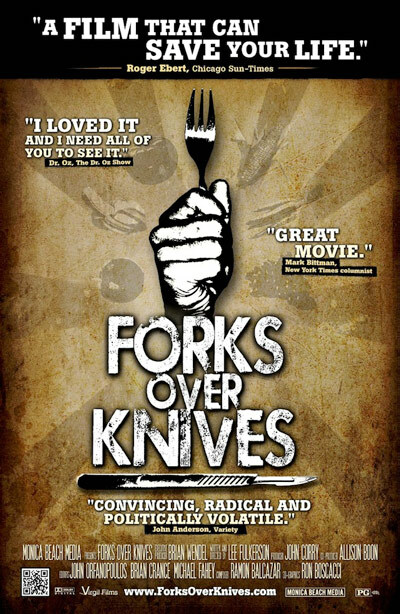 I have eaten at Pure multiple times, sometimes with people who love raw vegan foods; other times with individuals whose idea of a “dream meal” is a big, juicy steak. Regardless of who my dinner companions have been, the first or second bite of each course was followed by anything from a simple “wow” to “Oh my God, you need to try this RIGHT NOW!”. Pure’s “sister” store is One Lucky Duck Takeaway, a combination juice/smoothie bar and takeout shop chock-full of raw vegan deliciousness (from the must-have Mallomar to rosemary crackers to salads, macaroons, chocolate bars, and more) that is entirely soy-free and almost entirely gluten-free (no wheat is used, but a small number of products contain oats, which are stored in facilities that also process wheat products). I am super excited to announce that three Small Bites readers will now have the chance to taste the amazing creations of One Lucky Duck’s talented chefs. I often receive puzzled looks when I mention that pizza can be a very healthy meal. 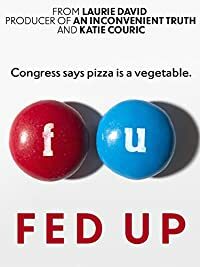 Most people who express surprise must imagine I am talking about fast-food pizzas — their thick and doughy white flour crusts, the massive globs of cheese, the piles of pepperoni and sausage on top. As with many other dishes, the easiest way to consume a healthier pizza is making it at home, and a healthy crust is key. In this latest giveaway, I am happy to offer the opportunity for three of you to try my favorite pizza crusts for free! The folks at Rustic Crust will graciously provide three winners of this giveaway with two coupons (or online coupon codes) for free ready-made pizza crusts. Gluten-free? No worries. Rustic Crust offers a “Napoli Herb” crust that does not contain any gluten or wheat. Send an e-mail to “andy@andybellatti.com” with the subject line “Rustic Crust Giveaway” anytime between 12:01 AM (Pacific Standard Time) on Friday, August 13, 2010 and 11:59 PM (Pacific Standard Time) on Sunday, September 12, 2010. You may increase your chance of winning (equivalent to a second entry) by sharing the link to this giveaway on Twitter or Facebook. For Twitter, you must include “via @andybellatti” in your tweet. For Facebook, please notify me via e-mail when you share this link on your wall. 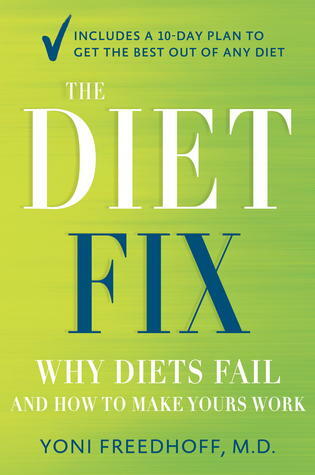 Winners will be selected at random on Sunday, September 12, 2010 and will be contacted by me via e-mail. Winners must reside in the United States. So far this year, the Small Bites blog has teamed up with a variety of individuals to give away some of my favorite things — from spice kits to healthy crackers to a brand-new vegan cookbook. 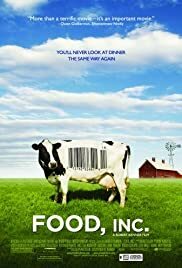 This giveaway is for my fellow food politics buffs who are interested in learning the inner workings of the beast known as the food industry. 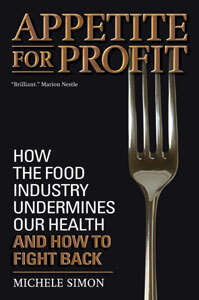 Two Small Bites readers will win an autographed copy of Michele Simon’s engrossing book, Appetite for Profit: How the Food Industry Undermines Our Health and How to Fight Back. 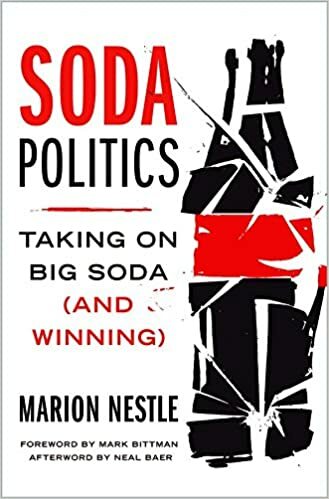 A health policy expert and law professor, Simon lays out thoughtful and appropriately scathing critiques of the food industry’s attempts to lull consumers into a false sense of security with “health initiatives”, self-regulation, and other tactics. 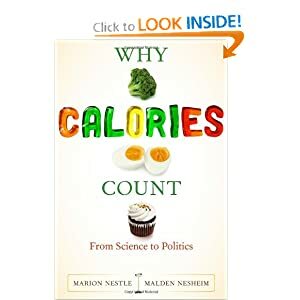 If food politics, corporate responsibility, public health issues, and food law interest you, this book needs a home on your bookshelf! 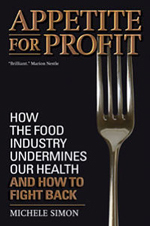 Send an e-mail to “andy@andybellatti.com” with the subject line “Appetite for Profit” anytime between 12:01 AM (Eastern Standard Time) on Thursday, July 22, 2010 and 11:59 PM (Eastern Standard Time) on Monday, August 9, 2010. You may increase your chance of winning (equivalent to a second entry) by sharing the link to this giveaway on Twitter or Facebook. For Twitter, you must include “@andybellatti” in your tweet. For Facebook, please notify me via e-mail when you share this link on your wall. 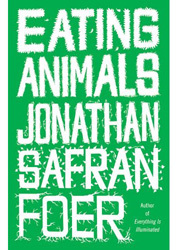 Winner will be selected at random on Tuesday, August 10, 2010 and will be contacted by me via e-mail. 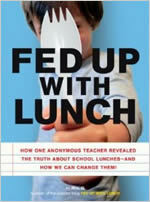 Many thanks to Michele Simon for donating two books to this giveaway. Keep up with her on Twitter (@Appetite4Profit)! Giving Away A Little Bit of Sunshine! 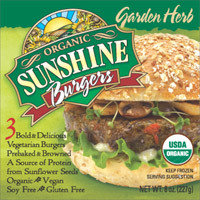 As regular readers of Small Bites know, I am a fan of Sunshine Burgers. Don’t take my word for it — try them yourself! The folks at Sunshine Burgers graciously accepted my request to send two “free Sunshine Burger product of your choice” coupons to five lucky Small Bites readers! Send an e-mail to “andy@andybellatti.com” with the subject line “Sunshine Burger Giveaway” anytime between 12:01 AM (Eastern Standard Time) on Friday, May 14, 2010 and 11:59 PM (Eastern Standard Time) on Friday, June 11 2010. There is one way to increase your odds via Twitter! Only one tweet will count. Winner will be selected at random on Saturday, June 12, and will be contacted by me via e-mail. Go Crackers with Mary (and Small Bites)! Ready for the second Small Bites giveaway? I am! 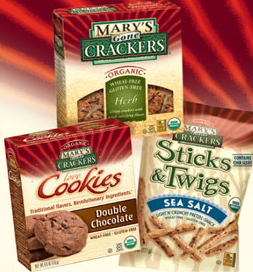 I love Mary’s Gone Crackers because they offer delicious, crispy crackers (and sticks & twigs!) that are not only 100% whole grain, organic, kosher, vegan, non-GMO, and made solely from whole foods, but also suitable for anyone intolerant to gluten or allergic to wheat. 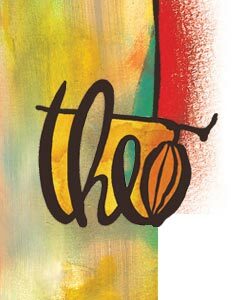 Their delectable cookies, meanwhile, are organic, vegan, kosher, non-GMO, wheat-free, gluten-free, and even soy-free. Send an e-mail to “andy@andybellatti.com” with the subject line “I want Mary’s crackers!” anytime between 12:01 AM (Eastern Standard Time) on Wednesday, February 24, 2010 and 11:59 PM (Eastern Standard Time) on Sunday, March 14, 2010. 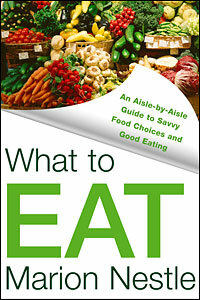 Winner will be selected at random on Monday, March 15, 2010 and contacted by me via e-mail. 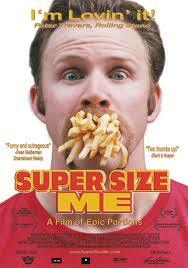 Giveaway: Spice Up Your Life! 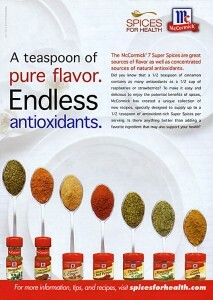 I have teamed up with the generous folks at McCormick to help add zest and health to your cooking! I have five McCormick “Super Seven” spice packs to give out to Small Bites readers. Remember: spices are a wonderful — and delicious — way to reduce sodium and add healthy antioxidants and phytonutrients to your meals. Not sure what spices go with which foods? No need to worry — the packs also include a “30 Ways in 30 Days” super-swaps calendar that provides helpful suggestions for the different spices. If you’d like to enter this giveaway, please follow the instructions below. Good luck! 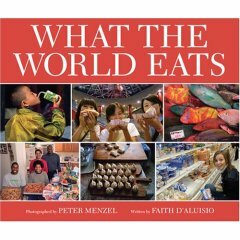 Example: “RT @andybellatti Are tree nuts healthier than peanuts? http://smallbites.andybellatti.com/?p=4837” Note: You can shrink (or TinyURL) the link to save space. 2. Re-Tweets in any other format are not eligible for this giveaway. 3. Only one entry per Twitter account. 4. 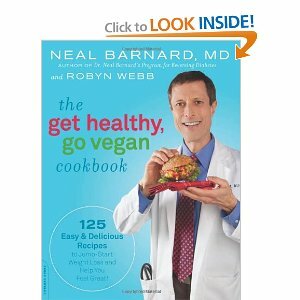 Re-Tweets sent until Friday, February 12, 2010 at 11:59 PM (Eastern time) are eligible for this giveaway. 5. 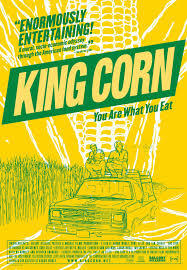 Winners will be selected at random and notified (via Twitter) by me on Monday, February 15, 2010. 6. Giveaway is only open to individuals living in any of the 50 states and Puerto Rico.